Leading FMCG brands are often the most sought after organizations for internships by marketing enthusiasts. In the second edition of the ‘IIMK Internship ‘K’ronicles’ series, Tara Rajagopalan shares her experience at ITC. Tara has graduated from NIT Surathkal and has worked with Microsoft for two years in the field of software development. 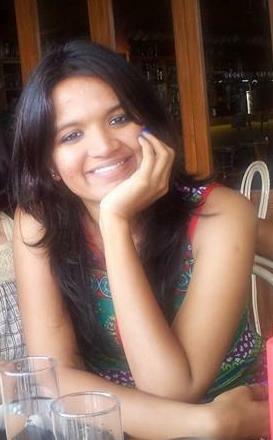 She is also a member of the Industry Interaction Cell at IIMK. 1. What was the role offered to you at ITC? I worked as a Brand Management intern, in the marketing team (as opposed to Trade, marketing & Distribution which is the sales silo) of the Education & Stationery Products Business of ITC – the Classmate brand. 2. How would you describe the project assigned to you and the challenges associated with the same? My project was to ‘Study and Estimate the Art Stationery Industry in India’ – its various segments, the product portfolio, consumer insights, consumer spends, strengths and size of each segment. It was a very daunting task because the Art Stationery industry is far too fragmented, immature and unorganized in India which is why no market research agency conducts any research on it. I had to start from absolute scratch and build upwards. I had absolutely no material to work with, nowhere to start from. Also, my mentor was only very suggestive, never prescriptive. I had to figure everything out myself – they made sure not to give me any data/information so as to prevent any bias in my findings. I had to track people down all over India, haggle with distributors, beg store owners, plead with manufacturers, sweet talk parents and school teachers, convince government consultants, and so on. It was all terribly challenging. 3. Having worked in the IT field at Microsoft in the past, what difference did you find while working as an MBA intern in a leading FMCG organization? The biggest problem I faced was to cope with the culture shock. At Microsoft, I had grown used to the typical American based MNC culture. No ‘sirs’ or ‘ma’ams’, no hierarchy at all, no apparent seniority, open doors, warm smiles everywhere, no airs. It is extremely different in an Indian company driven towards sales. There is a deep rooted evident hierarchy, clear seniority rungs in the corporate ladder, people don’t mix as freely, different levels of employees eat lunch separately – stuff like that. I was quite taken aback. It took me a few days to get used to. 4. You were working in the domain of ‘Brand Management’ at ITC. During the course of your work, did you get opportunities to go on tours and interact with various stakeholders? Although I did visit the market a lot, it was only in Chennai. In fact, that was one of the constraints that I had to work under – I wasn’t allowed to travel. However, I made the most of what I had, I visited around 91 outlets: retailers, wholesalers, distributors and modern trade stores. I conducted PIs and phone interviews of manufacturers, import hub owners, stockists, consumers, parents of school children, students, school teachers, art teachers, art institute owners, NCERT consultants, art hobbyists and a few professional artists. I got to interact with the ENTIRE gamut of stakeholders. I wiped clean the entire supply chain and beyond. It was an amazing experience. 5. 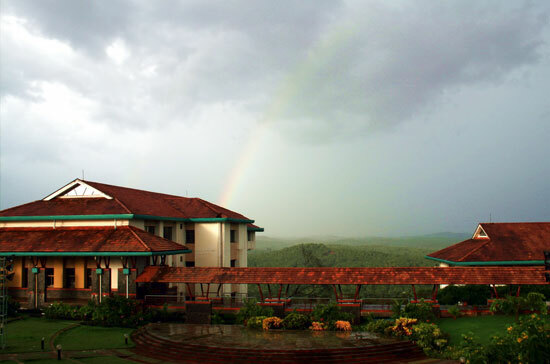 Having completed a year at IIMK, you have undergone several academic courses, case studies and projects. Were you able to apply the concepts learnt on ‘K’ampus during your internship? Mainly, I think what we learn in class helps hone our thinking in certain ways. Regardless of whether or not I directly applied the concepts taught, I know that my perception and thinking have been honed and chiseled in a certain way in the past one year. I wouldn’t have been able to do everything I did in my internship if not for everything I learnt at K. Of course, many marketing & strategy concepts did come alive – right from industry analysis and competitor benchmarking to conducting interviews and understanding consumer insights. 6. As a member of the Industry Interaction Cell at IIMK, you have been actively involved in organizing sessions with renowned industry experts. How has this experience helped you prepare for the corporate world? I’m not sure there is a direct link, but I think that the key to marketing is to listen and drink all the information that you get from everywhere. So every titbit of information that I pick up interacting with anyone – not just industry experts – is a piece in a jigsaw puzzle somewhere; maybe not my puzzle, but someone else’s. But it always helps to collect the pieces; you never know when you’ll meet someone with an unfinished puzzle looking for a piece you have in your pocket. Also, my work at IIC did help in the sense that I had over time learnt how to correspond with people from all backgrounds, from all sorts of industries, and holding all sorts of positions. 7. Students generally form perceptions about various sectors and have certain kinds of expectations from the corporate world. How has your understanding of the Marketing domain in the FMCG sector evolved during your tenure at ITC? Apart from an academic learning point of view, which happened in hordes, I got a taste on how company cultures work, I got to understand how one needs to adapt one’s behavioural and conversational styles to suit the person one are interacting with. I learnt to deal with rude respondents, closed doors, to run around from shop to shop in the sun all day, how to wheedle information out of people and how to talk to a board consisting of heads of a function and CEO of a division. 8.What is your most significant takeaway from the summer internship? My most significant takeaway is learning how to deal every type of stakeholder there is – within the company and out on the field. 9. What advice would you like to give to the engineering graduates of the incoming batch who aspire to work in the Marketing domain? Keep your eyes and ears peeled all the time. Every single thing you hear from anyone around you is a valuable piece of information which you can use somewhere or the other – it’s all about understanding people, what they want and how they work. Also, trust your gut. You are a consumer of practically everything yourself. If you feel something’s right, it’s right in all probability. Marketing is just common sense. 10. Having experienced the ‘Brand Management’ role during your summer internship, what role would you like to work in post MBA? I’ve only seen Brands as of now – I loved the work. I’m completely open to any marketing role though, sales/brands alike. I’m just starting off, so I’m sure I’ll have tons to learn everywhere. 11. If you had to describe your experience at ITC in five words, what would they be? Interesting. Daunting. Challenging. Frustrating. Fun!